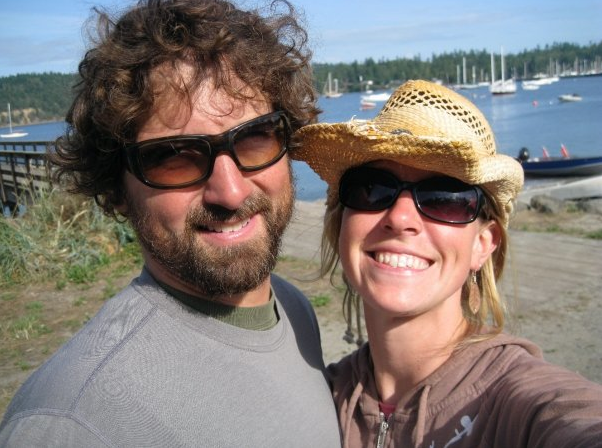 Two water obsessed people from the Pacific Northwest, traveling on our sailboat in Mexico in the winter, working on boats in Alaska and Washington in the summer. I was looking for an address to send you a package. now live in Texas. You might want to meet them someday. Doug and I are enjoying both your blog and the fabulous pictures of this journey!! The photo subjects you choose are so colorful, and seem so representative of your days & places…nice job! Loved seeing Rob’s folks (we haven’t seen Duff…since his hair was brown..hahaha! ), Lauren and Reef (& Lynn documents Reef very well too!). And I had no idea lauren worked for TRX; I LOVE TRX, and Doug and I are both Yoga-nistas! Our best to you both, safe travels, calm waters, and relatively light winds to you both. Thanks for the vicarious thrills!! Hey, what happened to your 3rd crewmate? What a lot of fun this season! And your summer jobs sound really fun too! Adventure is definitely the spice of life. Hope you make lots of piles of money for the wedding and cruising. Can I ask how much it costs to keep your boat in a marina in Bandaras Bay? I hope we can do that too down the road again!